His contributions to the theory of sense. Within the scope of these events, scientific-historical conditions such as the philosophy of existence or the current arguments of Ingold (for example with Howes and Descola) were mediated. Through this preparation, the students were able to specifically address challenging queries, controversial personal positions and methodological uncertainties in the workshop with Tim Ingold. The workshop therefore devoted itself to the various student concerns which had been developed in the discussion with Ingold's texts. The students thus had the opportunity to organize scientific debates independently and not only to comprehend them. During the visit, they were able to get to know Ingold not only as a scientist, but also in personal interaction. 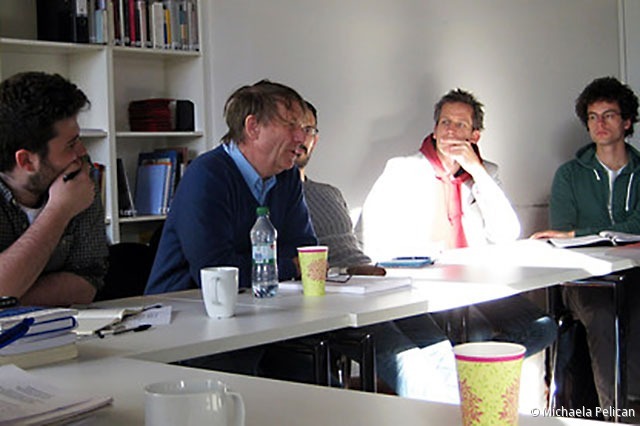 Tim Ingold during the workshop with students. 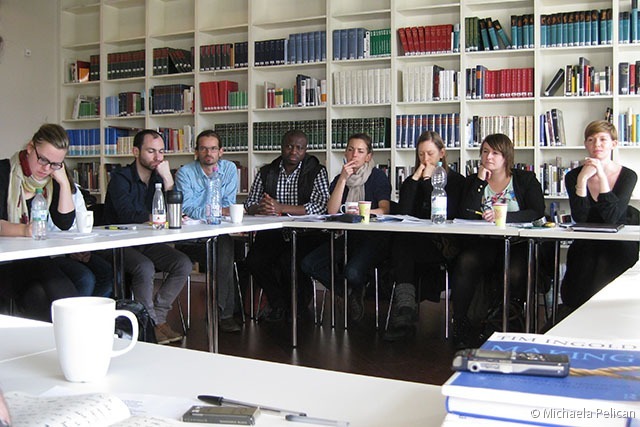 The participants of the workshop with Tim Ingold. Students prepared the visit during an intensive lecture seminar. 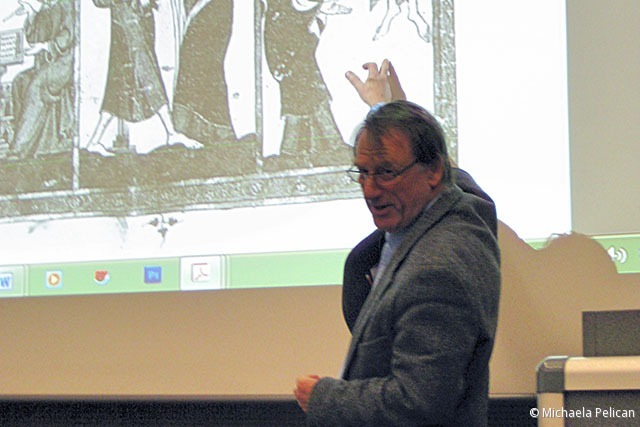 Tim Ingold held the invited lecture "To human is a verb". "Working intensively on a specific goal - the meeting with Tim at the workshop - was sometimes exhausting but very productive." 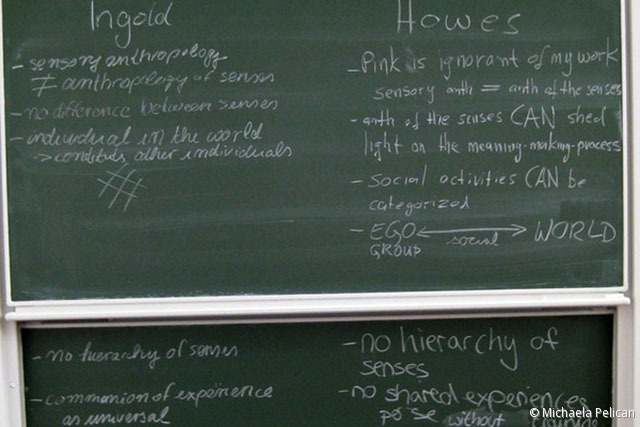 "Because several instructors brought their own experiences and approaches to Ingold's work, I felt invited to think about Ingold's ideas myself and to form a sound own opinion." "In the seminar and in the workshop it was expressly desired to ask the worked through theories, but at the same time, Tim impressed me on a personal level. It is different if you only read texts and listen to lectures, or if you have a direct conversation with the author." "When I heard that even someone like Tim Ingold did not expect from himself to have a clever answer to all the great anthropological issues, I was encouraged by the fact. I took a new interest from the seminar to engange with anthropological issues and to conduct research myself."